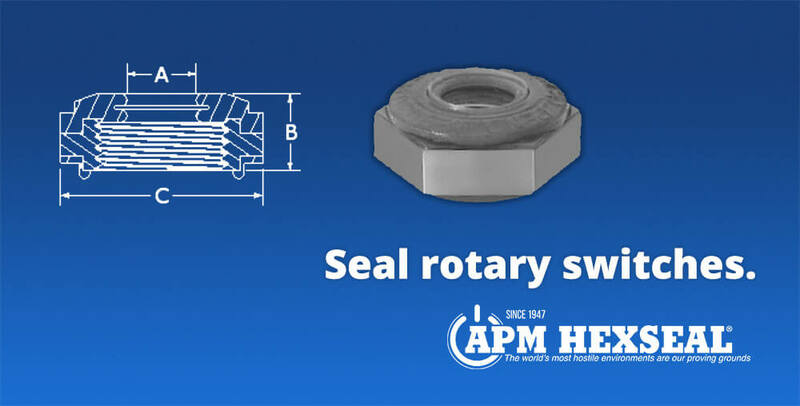 Rotary Boots from Hexseal Can Seal a Twisting Parts While Allowing Movement » HHP Associates, Inc. Protecting a rotary switch is a little more complicated than protecting over moving parts. Anything with a push or press motion can be covered fully with a boot without stifling the movement. But rotary switches need to twist in order to function correctly, which would normally cause friction to damage the boot over time. To fix this issue, APM Hexseal developed an “open” boot molded from silicone. It’s molded from a threaded mounting nut, so that the boot has the threads shaped into the interior. A rotary boot can protect your rotary switch from splash, dust, fungus, salt spray, most acids, and more.